Violin Memory, which specializes in high-performance flash-based storage systems, has acquired GridIron Systems, a start-up developing data center application acceleration technology. Financial terms were not disclosed. GridIron offers a TurboCharger Appliance to optimize the performance of application traffic and data workloads traversing the SAN fabric. The appliance uses patented SetRanking technology to manage all "high value" reads from the storage array, enabling the array to focus on writes to disk. The company has claimed a 2-10X application performance improvment. Deployment scenarios include online transaction processing (OLTP), data warehouses, virtualization and big data analytics. Violin Memory, which provides tier 1 Flash Memory Arrays, said the GridIron acquisition brings sophisticated intellectual property for SAN-based caching and application acceleration. 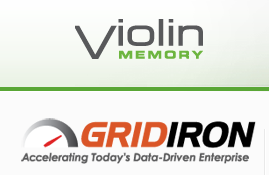 "The acquisition of GridIron Systems complements and expands Violin Memory’s strategy of offering memory-based solutions that accelerate business critical applications while optimizing IT infrastructures," said Don Basile, CEO of Violin Memory. "The expanded talent, technology and intellectual property position Violin Memory at the forefront of the ongoing transformation of enterprise data centers to memory-based architectures." GridIron is based in Sunnyvale, California. Violin Memory is based in Mountain View, California. GridIron's founders include Som Sikdar (previously the founder of Shomiti Systems (Finisar) and Force10 Networks) and Herb Schneider (a founder and VP of engineering at Extreme Networks). CoreSite launched an Open Cloud Exchange to help its data center customers to connect directly to the cloud service providers of their choice. The CoreSite Open Cloud Exchange is available immediately in seven of CoreSite's North American data center campuses including Los Angeles, San Francisco Bay Area, Chicago, New York, Northern Virginia, Boston, and Washington, DC. CENX, a leader in Carrier Ethernet interconnect systems and services, will provide its CENX Automated Ethernet Lifecycle Management software specially designed for CoreSite's Open Cloud Exchange, enabling single sign-on management of Layer 2 cloud infrastructure services and full MEF CE 2.0 compatibility. RightScale, the leader in cloud computing management, will provide the platform to deploy and manage business-critical applications across public, private, and hybrid clouds. RightScale offers efficient configuration, monitoring, automation, and governance of cloud computing infrastructure and applications. RiverMeadow Software will deliver its automated cloud onboarding SaaS developed specifically for migrating servers and workloads into and between Carrier Service Provider Clouds. Brocade will provide the hardware infrastructure and switching logic at the heart of the Open Cloud Exchange. "We're building the industry's premier home for cloud services," said Jarrett Appleby, COO, CoreSite. "With networks—the oxygen for cloud services—as the foundation, adding the industry's leading cloud providers will create best-in-class scalability, management, automation, software, and many-to-many exchange capability. The Open Cloud Exchange offers our customers enormous provider flexibility, guaranteed performance, real-time monitoring, and easy management of cloud infrastructure services." Separately, CoreSite announced plans to acquire a 280,000 square-foot building and 10 acres of land in Secaucus, New Jersey. The new facility, which will be referred to as NY2, will offer up to 18 critical megawatts of capacity. CoreSite expects to invest $65.0 million to acquire the facility, redevelop the powered shell, and complete the initial phase of inventory consisting of 65,000 square feet. The company said there is potential to build additional data centers at the site as market demand warrants. Taiwan Strait Express-1 (TSE-1), the first, direct undersea fiber cable between Taiwan and mainland China, has entered service. The submarine cable spans 270 km between Tamsui, Taiwan and Fuzhou, Fujian Province, China. Partnets include Taiwan’s Far EasTone, Taiwan Mobile, Chunghwa Telecom, China Mobile and China Unicom. 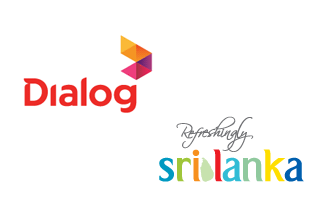 Dialog Broadband Networks (DBN) has launched an LTE TDD network in Sri Lanka using equipment from Huawei. The network has been activated in the capital Colombo, with an extension across wider Sri Lanka expected soon. DBN has deployed Huawei's end-to-end solutions for RAN and EPC bundled with Huawei application software and customer-provided equipment (CPE). Huawei aslo noted that Dialog's LTE TDD network is set to provide the world's first commercial VoIP service, adopting a VPN solution to provide comprehensive wireless access network services for small-to-medium enterprises (SMEs) and home connections. Huawei's VPN solution offers QoS for E2EM (end-to-end management) with precise charging and centralized VPN subscriber management. The solution also supports transparent transmissions on an LTE network to complement or act as a substitute for traditional fixed-lines. Pulsecom has licensed Tail-f Systems’ multi-vendor configuration management and network automation software to develop its carrier-class Element Management System (EMS) for its SuperG family of Access and Network Interface Device (NID) products. Tail-f’s NCS is a network abstraction layer designed to accelerate EMS platform development. Key features include automated service provisioning and transaction-safe configuration management as well as well as a seamless EMS-to-OSS/BSS interface. Pulsecom’s SuperG Multiservice Access Switch is a CE 2.0-ready Ethernet and DS1 access solution supporting multiple generations of cell site backhaul and evolving business service requirements. Its SuperG NID is a CE 2.0-ready Ethernet access solution optimized for cell site and customer premise applications requiring MEF-compliant Ethernet services. "Tail-f’s NCS software is the backbone for Pulsecom’s NetPulse EMS and has the advanced feature set necessary for Tier 1 carriers. The model-driven development approach allows us to rapidly add and modify management capabilities to meet our customers’ evolving needs. In addition, northbound interfaces are standards-based for smooth integration with OSS/BSS platforms and automated provisioning enables consistent and accurate subscriber service turn-up," stated Paula DeCarlo, Director Pulsecom Engineering Operations.